Comments: This is a formal double with imbricated petals. It is an old cultivar but still a popular white for many people because it blooms quite early -- late fall and early winter into early spring. 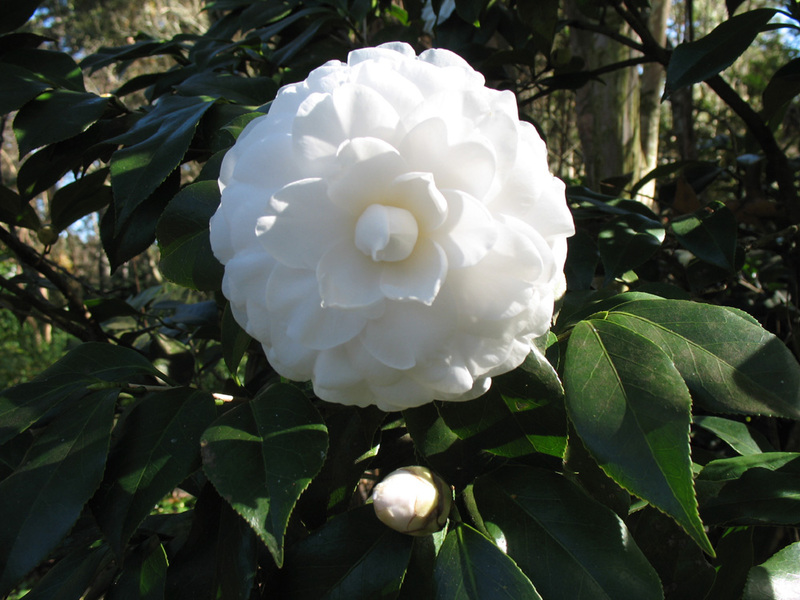 Camellias need an acidic soil that is well drained and grow best when protected from the hot afternoon sun in the Lower South. This cultivar can grow into a small tree form over time. It is a great choice for southern gardens.